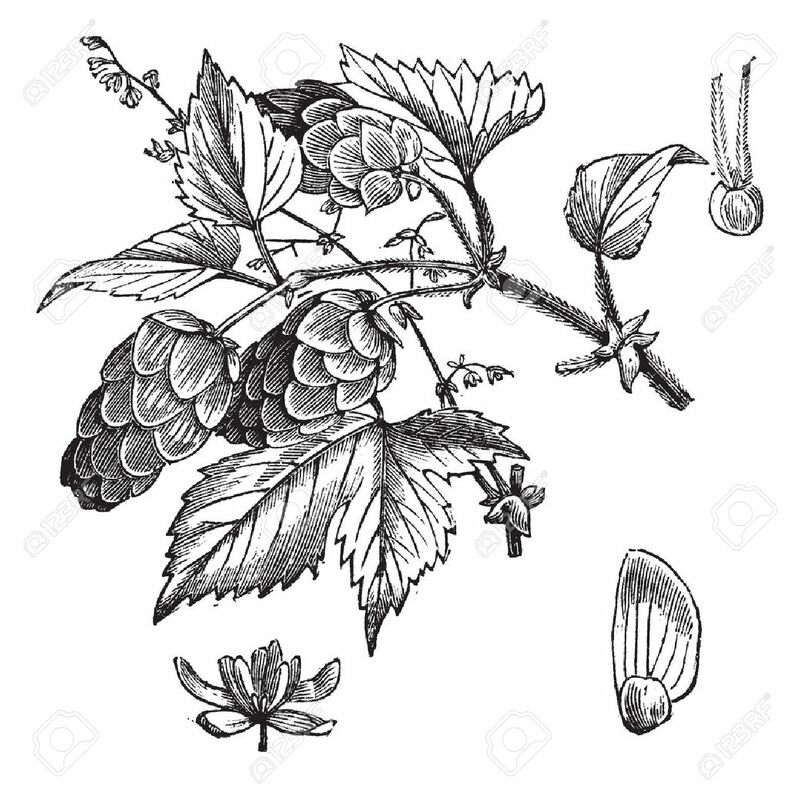 Old Engraved Illustration Of Common Hop, Leaves And Flowers Isolated.. Royalty Free Cliparts, Vectors, And Stock Illustration. Image 37956481. Vector - Old engraved illustration of Common hop, leaves and flowers isolated on a white background. Old engraved illustration of Common hop, leaves and flowers isolated on a white background.